Light versus dark. Don’t get caught in the middle. The discovery of a secretly rogue officer working within the Hong Kong Police Force leads to Chief Inspector Hong of the Criminal Investigation Bureau to commit suicide. Right before his death, he tasks his colleague and good friend, Chief Inspector Cheuk Hoi, to find the five undercover cops that he sent out to infiltrate Hong Kong’s criminal world. Unfortunately, the files on these cops have already been erased by Hong before they could be discovered by the rogue cop, leaving Cheuk to start from scratch in his search. After Cheuk finds his first undercover cop, Ding Siu Ka, they must work together in a race against time to rescue the others and bring down a triad before the identities of the undercover cops are discovered. I swear, I will never get tired of the undercover cop/triad plotline. I may have seen a million and one dramas and movies that have the police and triads pitted against each other, but this light vs. dark argument is so primal that it somehow always remains intriguing. Luckily, Line Walker was successful in taking this age-old theme and reinventing into a very compelling drama that questioned whether or not “the light” is even worth fighting for anymore. I definitely had my reservations coming into this drama, despite my love for the actors and the plotline, simply because TVB dramas really just haven’t been up to par in the recent years. With that said, I have to thank Line Walker for restoring some of my faith because this was seriously one of the best TVB dramas I have seen in a long, long time. I still stand by my previous statement in my first impression of Line Walker that this drama isn’t as good as the last truly memorable triad TVB drama, Emergency Unit/E.U. But after watching all of Line Walker, I think the only reason why I think E.U. was better is because it produced such a beloved character in Laughing Gor. (I mean, c’mon…Charmaine was even referred to as “Laughing Sou” at one point in Line Walker.) Story-wise, I actually think both are comparable in that they are both riveting dramas that featured a good amount of twists that the audience might not have seen coming. Line Walker was able to keep the audience’s attention throughout its entire run because there were actually multiple important storylines going at the same time. More often than not, there’s one main story with a bunch of take it or leave it side stories that no really cares that much about. So, because Line Walker branched off into storylines that carried enough weight on its own, you never get bored or feel that the main story is getting dragged down by random nonsense. While I think that all the storylines in Line Walker were quite good and I was pretty invested in all of them, I must admit that when the Big Bad, “Mr. Sung,” was thrown into the mix, I felt it was considerably weaker than the previous collection of bad guys that our group was going up against. That doesn’t mean that the Mr. Sung character was a waste of time, but it just felt kind of like a letdown after all the buildup to take down the “black cops” in the HK Police Force and its triad partners. I enjoyed the subtle twists that kept happening throughout the drama, but none were more shock-worthy or satisfying as that very last twist in the finale’s end credits. No spoilers, but y’all know what I’m talkin’ about if you’ve seen it. 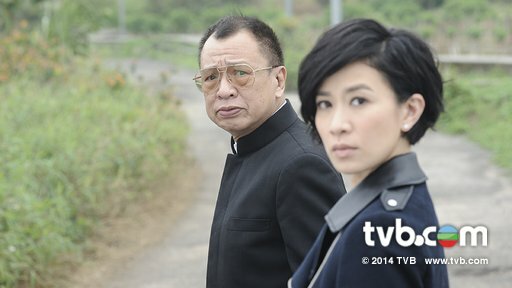 Even though a lot of suspense during the earlier parts of Line Walker was identifying the five undercover cops, it really wasn’t that hard to figure out, especially if you’ve seen your fair share of TVB dramas and know how these things go. Wait, I take that back. One of the undercover cops was a total headscratcher. Other than that, the rest were all pretty obvious. The acting from the veteran cast was great, as you would expect from this group of actors. Michael Miu played the very calm and intelligent Cheuk Hoi well, and you understand why he’d be the person they put in charge to keep the undercover cops safe. My biggest surprise from the cast and its acting may be how much I liked the Charmaine and Raymond pairing. I’ve never been able to ship them before, and would even forget that they were paired up together in other dramas. But the Bao Seed and Ding Jie characters went together so nicely, especially in their comedic moments, that I finally embraced the Raymaine OTP! On that note, who would have guessed that Line Walker would be such a funny drama? I was really happy to see Raymond get back to his funnier acting roots, and was impressed by how freely Charmaine was able to play Ding Jie. My one other noteworthy mention about the acting has to be Benz Hui in his portrayal of triad boss leader, Foon Hei Gor. I’ve only seen him act in those silly, goofy roles before so it was a refreshing change to see him as a triad boss that caused you to perspire cold sweat. Go and watch this drama; you won’t be disappointed. 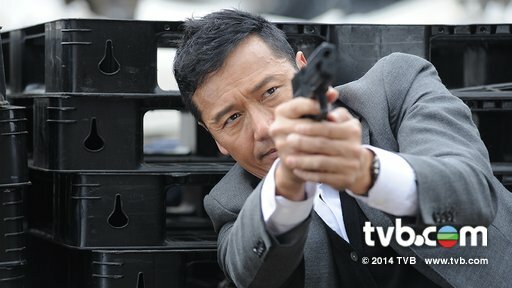 Line Walker‘s cast of talented actors really suited the fast-paced nature of the eternal cat and mouse chase between the police and triads. Don’t be distracted by the seemingly straightforward story because that’s only the outer layer to the drama. Line Walker gets surprisingly deep and philosophical when it questions whether or not a society where the police are constantly in the light is the society people need and deserve. But even if you don’t care to know the answer, Line Walker is still a great drama that is simultaneously entertaining and thoughtful. Raymond Lam recently starred in the c-drama, The Virtuous Queen of Han, as Liu Che. Tony Leung Ka-Fai was originally casted for this drama, but had to pull out from it because of a rib injury. There are rumors that TVB is planning a movie version of Line Walker, and have asked Louis Koo to be in it. Louis…just film a new TVB drama for us already! Line Walker currently holds the record for the most watched TVB drama in Mainland China.